Civil Dynamics: The site is amazing! 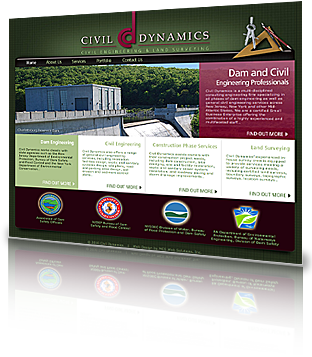 Civil Dynamics excels in the highly competitive fields of dam engineering and civil engineering. We knew we had to build a site that reflects their professionalism in this marketplace, and shows their extensive professional portfolio in the best possible light. The results have drawn significant positive feedback, including one member of Civil Dynamics management staff to say, The site is amazing! The site is built on the WordPress platform, allowing the client to have full control over the content—editing, deleting, and adding pages as they need to with no more than a password and a browser. Check this site out to see how MCS can build a site you can manage entirely on your own with no HTML skills and just a web browser. 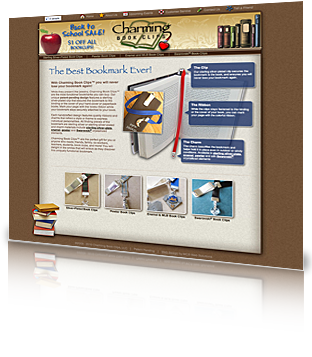 Charming Book Clips™ are bookmarks with a new and interesting twist. With a unique patent-pending design, this bookmark features a sterling silver plated clip that secures the ribbon bookmark to your books, ensuring you never lose either your place or your bookmark again. Our challenge was to build a site that showcases this unique product, features e-commerce and interactivity, and allows the client to manage an ever-evolving line of products themselves. We built the custom site on the revolutionary Wordpress platform, allowing virtually every page of the site to be modified with no more than a web browser. 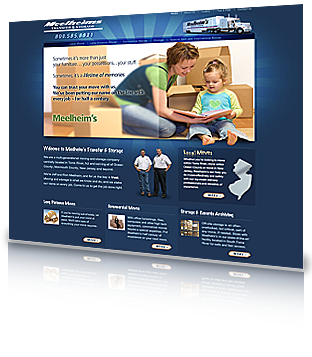 Meelheim’s Transfer & Storage has been putting their name on the line moving people and businesses in Toms River, Ocean County and throughout New Jersey since 1961. With all that experience, you can be sure they know what they're doing when it comes to moving you cost-effectively and safely. Our challenge was to convey the unique experience that Meelheim’s brings to their industry, and the importance of that experience. In addition to designing the site, we authored all of the copy on the site, with an emphasis on focused messaging and calls to action. Built on Wordpress, virtually every page of this site can be modified with no more than a web browser. Incorporated by Martin and Felice Carrero-Schmidt in 2002, MCS’ founding principle has been bringing enterprise-level web building and marketing strategy and skills, attained from working for years with Fortune 500 clients such as Johnson & Johnson, Pfizer, and L'Oréal, to the small and mid-size business community. As a result, a major hallmark of our work is distinctive and superior custom strategy and design, based on sound marketing principals, and leveraging the latest trends and technologies, targeted for the needs of smaller business. These are truly exciting times for MCS. With so much advancement in technology and social networking there are more tools available than ever before to promote your business on the web. We’ve made it our business to become expert with this technology so we can take your business to new heights. MCS Web Solutions: Focused on web marketing, search engine optimization, and web development, based in Toms River, New Jersey. Start successfully marketing on the web now with a free quote! It's easier than you think. We specialize in building custom web sites in Word Press. You'll be able to add, modify, and delete pages and whole sections of your site, all with just a password and a web browser. NEW! Video Production from MCS! As a new and exciting way to promote businesses, MCS announces our latest service: video production! Our cloud-based video production platform provides complete video services — from video concept to video completion — inexpensively. Stay in contact! A certified partner with Constant Contact, we can build bulk email ads, newsletters and announcements to send to your clients and prospects. Track results and fine-tune your campaigns for amazing results! Not sure where to start? Find out about our 5 step process here.